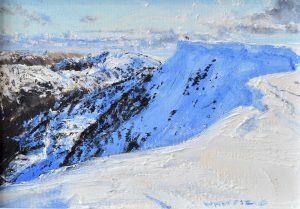 Simon Whitfield is a landscape artist, noted for his mountainous paintings of the lake district. He was born in Bristol, later moving north to study Anthropology at Durham University. 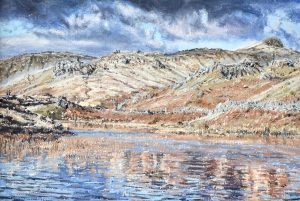 Simon is a self-taught artist, studying works by the romantic painters of the 19th century, such as William Turner and other the great watercolourists of the period. Simon’s life as an artist is one of constant adventure and renewal, an ongoing process of discovery. 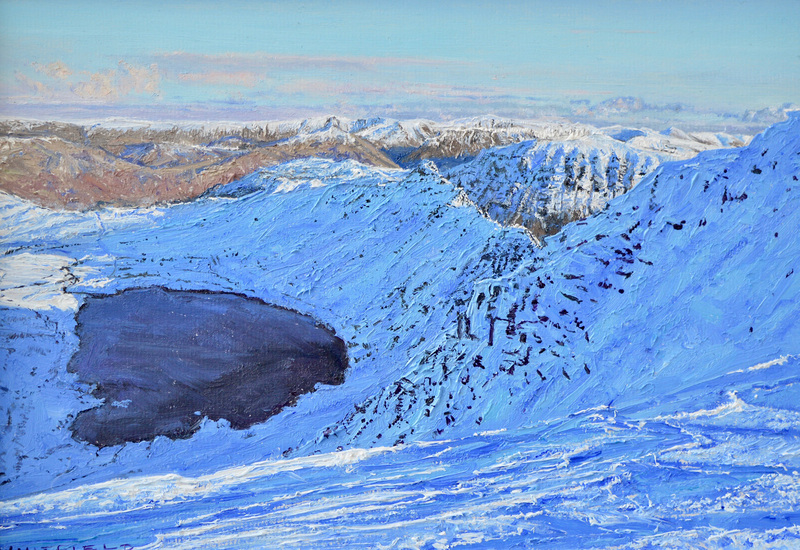 Influenced by British fell walker and author Alfred Wainwright, Simon aims to discover the many visual aspects of the Lake District, his subjects are inspired by the rocks, crags and high fell views across the Lake District National Park. Simon says ‘what inspires me most is this health-giving peace and solitude, a ringing primeval silence broken only by the iron hard hollow clank of a boot on scree and boulder, skylarks wheeling and the harsh metallic croak of ravens; exciting dawn and evening light effects and in particularly the mountainous rock which is the very foundation of both my paintings and the lake district itself”. 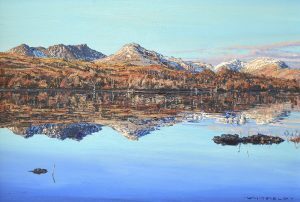 Enquire about "Herdwick Study (NEW)"